We’ve put together quite a few Yorkshire guides (did you see our recent ‘things to do in Yorkshire this Summer?’ blog?) but since it’s summer and we’ve been planning some trips, we thought we’d concentrate on our top Yorkshire coastal spots for this summer. We’ve got quite a few top spots to share with you – all are perfect for a pork pie picnic on the beach, a walk along the sands and spending all your tuppence in the arcades. In between Runswick Bay and Whitby you can find the village of Sandsend which is a wonderful beach to walk on – a sandy beach which (when the tide is out) you can walk all the way to Whitby. There’s also the Sandside cafe which is just off the beach which has a patio you can sit on to watch the world go by. A real family beach, it’s usually uncrowded and is a great destination for a day at the beach or a stop off before lunch at Whitby. It only makes sense to now talk about Whitby – one of our favourite sea side towns. It’s an eclectic town, from it’s roots with Dracula to the more modern bars and cafes, there’s so much to see and do. From Saturday 4th – Sunday 19th August, English Heritage are performing Bram Stoker’s Dracular live. With three performances a day every weekend, with the stunningly Gothic Whitby Abbey as the backdrop for the play and the inspiration for the book, it’s sure to be a good events. Also at Whitby Abbey, on Wednesday 1st August, there’s an outdoor theatre showing A Midsummer Nights Dream – take your blanket and deckchair and pack yourself up with a pork pie picnic to enjoy during the Shakespeare classic. Saltburn is a seaside resort which has a heritage dating back to the Victorian heyday when the town developed off the back of the Industrial Revolution and the local iron industry. There’s still nods to the Victorian era now with the wooden pier still stretching out to sea and the cliff tramway which will take you down the cliff to the pier. The tramway was built to provide an easy route down the 120ft cliff and is a unique activity for the seaside. It’s also one of the best surf spots along this area of the North Sea; it’s pretty chilly out there though so remember your wet suit! A traditional sea side resort, pack your bucket and spade as there’s plenty of room to play on the 5 mile long beach. Filey is less commercial than the others sea side towns in the area so it’s good for those looking for a quieter weekend. We’re always partial to a weekend away at the sea side and we’re so lucky to be so close to so many beautiful sandy beaches. Because the weather doesn’t always go in our favour and is often a little chilly even in winter, we like to take a beach tent with us. 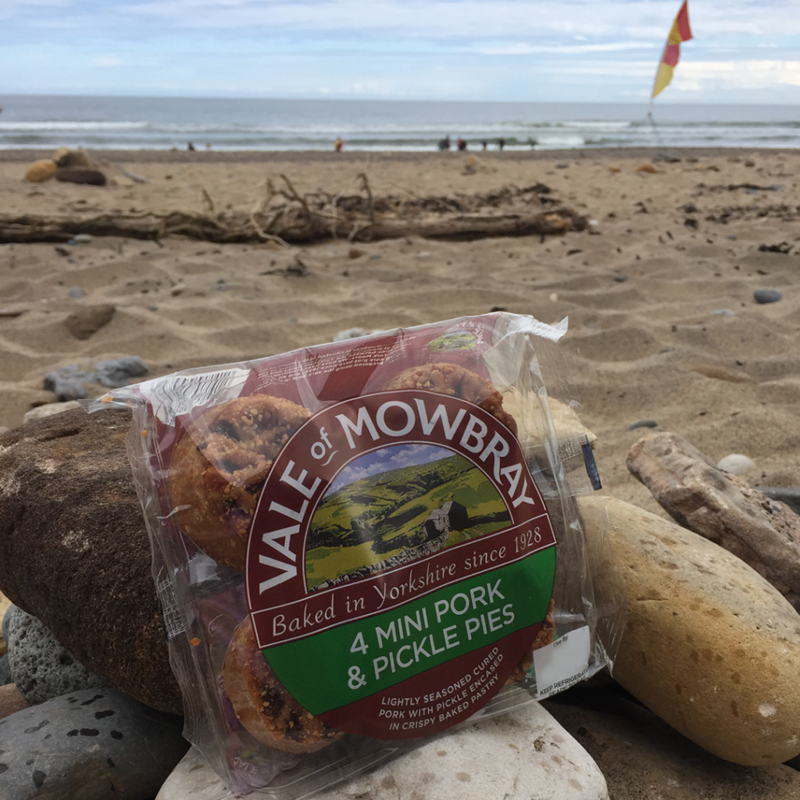 They’re relatively inexpensive and are great for huddling in when you want to have a little picnic but want to shelter from the wind – there’s nothing like a picnic watching the waves crash on the shore with a pork pie in hand!